The Nordic Track Elite 11.0 Elliptical Cross Trainer is another premium fitness equipment from a well-known manufacturer of premium grade exercise machines. 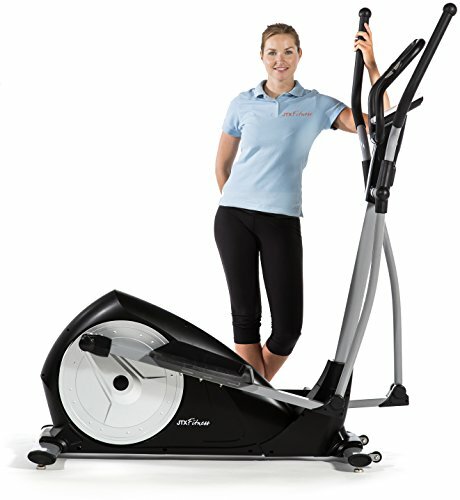 Nordic Track has been providing fitness machines for commercial and home for many decades already. 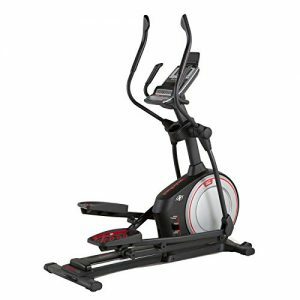 Just like their other products, this Nordic Track Elite 11.0 Elliptical Cross Trainer is a high-quality equipment that’s offered at an upper mid-range price point. It may look as though it’s simple, but its features can be compared to high-end models. Keep on reading to know why I think this can be considered a smart investment for you! With a maximum user weight of 145kg, the Nordic Track Elite 11.0 Elliptical Cross Trainer is undoubtedly stable and safe to ride on. It doesn’t look as sleek as other cross trainers, but it definitely offers a lot of features that ensure you of an effective workout every time. 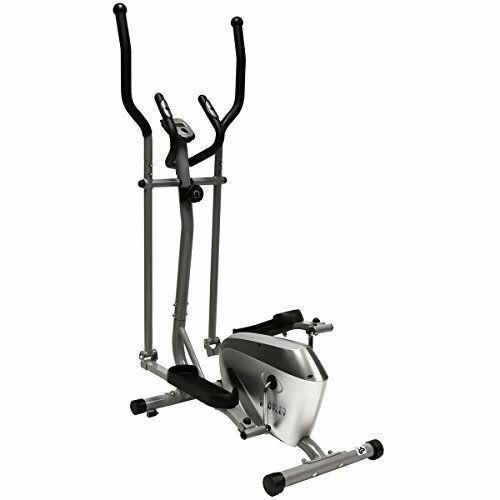 This cross trainer can accommodate even tall users with an 18 to 20-inch stride, that changes as you adjust the power incline levels. In this way, your movements won’t be limited making it feel natural and comfortable. Plus, it has a 14kg heavy flywheel that makes the machine even more stable while providing you with a more challenging exercise. Whether you are a beginner, an advanced user, or even if you’re coming back from injury, the Nordic Track E11.0 Elliptical Cross Trainer a range of features for you to achieve a comprehensive workout experience. For better results, you can choose from the 26 built-in workout programs (calorie and performance workouts) that are created by a professional trainer. The Nordic Track Elite 11.0 Elliptical Cross Trainer also features a wide range of incline and resistance adjustments to cater to all types of fitness levels. It has 22 resistance levels to add intensity to your workout, and it works with an SMR™ Silent Magnetic Resistance that ensures every adjustment is smooth, natural and flowing. This cross trainer also comes with 0 to 20 degrees incline that allows you to target different muscle groups such as your glutes, quads and calves. 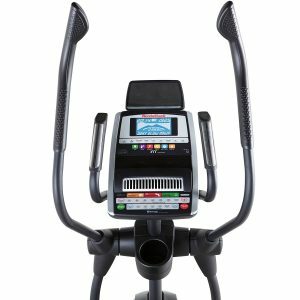 The Nordic Track Elite 11.0 Elliptical Cross Trainer is fully adjustable with the OneTouch Controls integrated on the console. You can adjust the settings according to your preference with a slight touch of a button so you can focus on your workout. Even the stride length automatically adjusts as you increase the incline levels, which helps to maintain a fluid and natural-feeling stride. 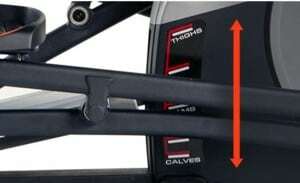 It also has oversized, cushioned pedals that make each movement comfortable even if you’re on your most intense pace. This cross trainer also has Cardio-Grip sensors that are built into both handlebars and a 5-inch LCD display where you can keep track of your progress. To keep earphones from getting in the whilst working out, you can listen to your favourite workout playlist with the built-in 2-inch speakers that are compatible with iPod or MP3 players. The Nordic Track Elite 11.0 Elliptical Cross Trainer also has a built-in tablet holder so you can watch a movie or check some e-mails while working out. Aside from that, this cross trainer also features an Autobreeze™ Workout Fan that automatically adapts to match your speed, or you can also manually adjust it depending on your needs. It also has an easy-to-access water bottle holder so you can quickly replenish your body with hydration when you need it. 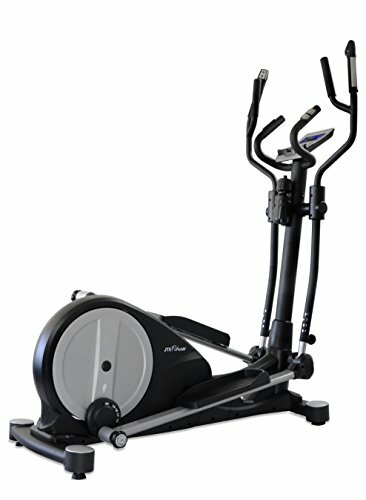 The Nordic Track Elite 11.0 Elliptical Cross Trainer is relatively heavier than other models with a weight of 101 kg. Although it can be heavy even for fit persons, this shouldn’t be a problem because it has front-mounted wheels for easier movement around the house. 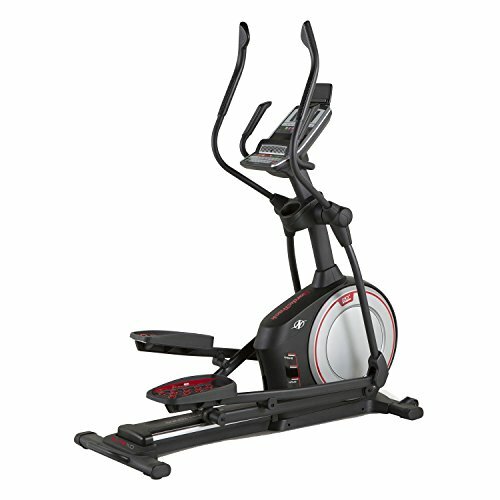 The JTX Tri-Fit Cross Trainer is also a mid-range cross trainer that offers a plethora of useful features. It comes with 19 programs and 16 levels of magnetic resistance that will keep you challenged even if you’re already used to this kind of exercise. This machine is also sturdy with a 135kg maximum weight capacity, and it has various stride length options that range from 16in up to 20in. 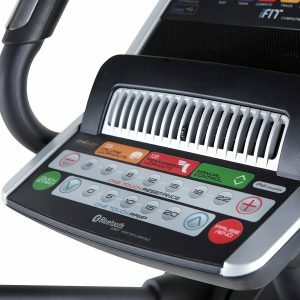 It also features an advanced computer with Bluetooth compatibility wherein you can create resistance responsive training routes from anywhere in the world. Although it has built-in pulse sensors, this cross trainer comes with a FREE heart rate chest strap to make sure you’re reaching your target rate. The JTX Strider-X7 Magnetic Cross Trainer is also one of the best mid-range cross trainers you can get in the market today. It has 21 built-in programs to choose from and 16 resistance levels that allow you to improve your fitness level, whether you’re an advanced or novice user. With an easy to use coloured touchscreen console, you can quickly configure your desired settings. 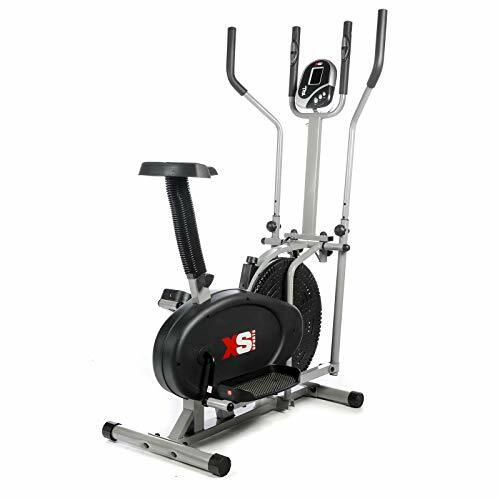 With a maximum weight capacity of 110kg, this cross trainer can accommodate various users, and it also comes with a guarantee of 5-year frame warranty and a 2-year in-home repair warranty. If you’re a beginner and you’re still sceptical about splurging on a cross trainer, the XS Sports Pro 2-in-1 Elliptical Cross Trainer might be a good option for you. It’s a dual-function exercise machine that’s perfect for any home gym. Because of its affordable price point and functionality, it remains as one of the bestselling fitness machines on the market today. With a maximum weight capacity of 110kg, its stability is almost similar to those of more expensive models. Plus, it also has built-in pulse sensors to keep track of your heart rate. The Charles Bentley Fitness Elliptical Cross Trainer is manufactured from a brand that has been creating reliable products for more than a century now. It’s made of high-quality tubular steel construction and a flywheel that weighs 4kg. Although it looks like an entry-level fitness machine, users say that its eight levels of magnetic resistance can be tough even for advanced fitness levels. At a highly-affordable price, this equipment already comes with built-in hand pulse sensors, and it’s highly recommended by its customers. The Nordic Track Elite 11.0 Elliptical Cross Trainer may not be considered as “budget-friendly” for most people, but it guarantees that you get what you pay for. With its fully adjustable features, a wide range of resistance, various incline levels, and other additional features you’ll be able to achieve your fitness goals in no time.